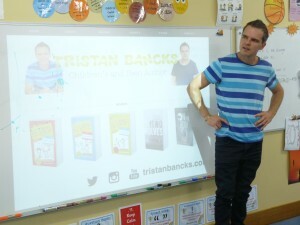 Each Year 3 class participated in a writing workshop today with Tristan Bancks (recent Children’s Book Council of Australia Shortlisted Books Younger Readers nominee for ‘Two Wolves’). 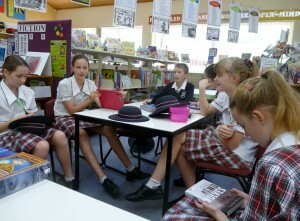 The students learnt new writing skills and were engrossed in the stories Tristan shared. Some Year 6 & 7 students (a part of the Readers Cup) were also very fortunate to meet with him at lunchtime and sit in on a writing session. Students shared their thoughts about the day on a padlet. Some of these are below.